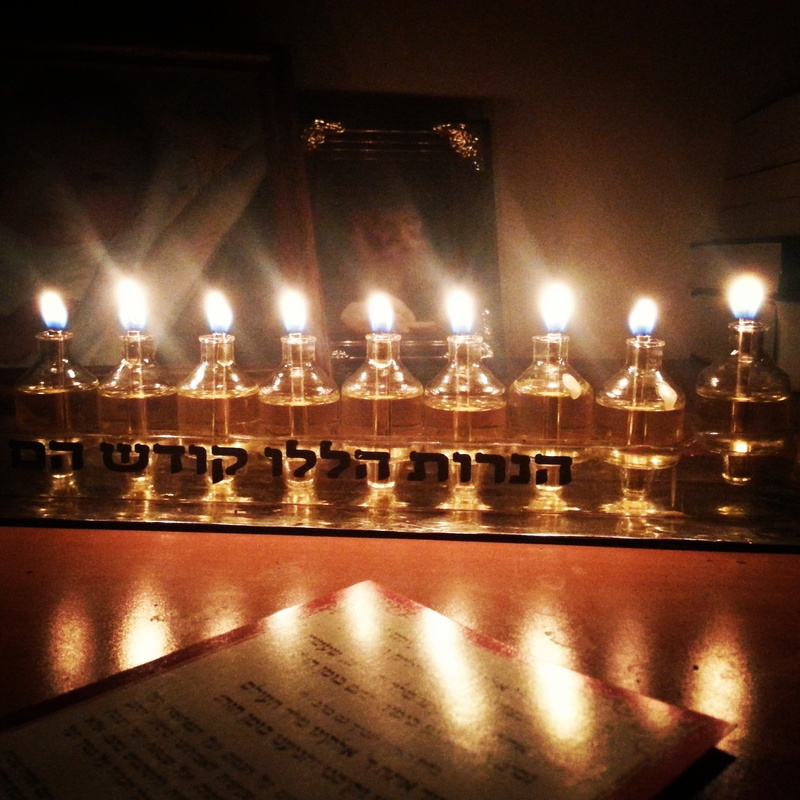 As we enjoy this time in celebration of Chanukah I cannot help but be reminded of the words of Kohelet, “Shem tov mishemen tov / A good name is better than oil.” (Ecclesiastes 7:1) This is what I have been keeping in mind as we light our Chanukah lights. Which bring to our remembrance the miracle of the Temple’s fine and sacred olive oil which was sustained for eight days – until another appropriate batch was able to be made. Good oil is not an easy thing to make. Even when made by experts there are still many grades of oil, we see this every time we walk into a grocery store. That there is extra-virgin and then various grades below it of oils ranging from second to third pressings or even blended oils to help make them more fitting because they are not desirable on their own. Of course, most of us want the best and purest we can get as it’s just more useful. But what is the usefulness of a fine oil? In the ancient world, especially in the middle-east, olive oil had an almost essential place in people’s daily lives. 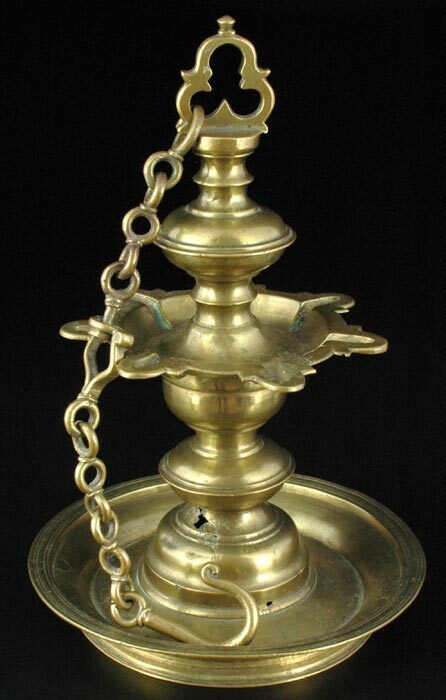 It was used for fuel for lamps, for eating and cooking, for beautification, for sanctification in religious ceremony, and even as a healing balm or remedy for wounds or illnesses. It wasn’t just a condiment, it was a daily essential that was well sought after. So what Kohelet means is that we should seek to establish for ourselves a good name, one that is pure and useful for all our daily needs. But what is it about a name that is so precious? Our names essentially say something about us. It’s more than just that a name should eerily fit the face. Even more so our names go before us many times as an indication of our character. Even if people don’t know someone personally often times they know a person’s name, so when it comes up it brings to remembrance all their deeds attributed to that person according to their reputation. To have a good name is to have a good reputation. After Yosef interpreted the troubling dream of Pharaoh, as all of his advisers and magicians couldn’t, he was so impressed by Yosef that he appointed him as regent over the land and to be second in charge under the throne Egypt. He also gave him a new name that he called him by. This was an impressive honor, to elevate a slave and foreigner to a seat of authority over all the land. Even more impressive considering that our sages tell us that Yosef didn’t even appear to know the Egyptian language at the time. What does this name mean though? We aren’t exactly sure. Actually we aren’t even sure what language this name is. Though we would naturally assume that it was given by Pharoah it must have been an Egyptian name in tongue of the land, but it is curious because it doesn’t linguistically fit the ancient Egyptian language. Both Zaphanat and Paneach are unique in the scriptures. We aren’t sure if this is Egyptian or if this is an Egyptian transliteration of a Hebrew/Canaanite name that Pharaoh honored him with. But it seems like the latter is the most likely based on the name structure. Rashi teaches us that according to the Targum Onkelos (the Aramaic translation) that Zaphanat means “reveler of hidden things.” This is quite understandable as in Hebrew the word Tzaphan means hidden thoughts or feelings, or poetically it means to conceal. This is a term understandable by many religious people because during the Passover Seder we have a Tzafun, a hidden matzah that we eat. But Rashi tells us that Paneach has no likeness in the biblical language to compare against. The Ramban, like many of our other rabbis, is also of the opinion that this is clearly a Hebrew influenced name. Poets like Ibn Ezra would likewise struggle with this name, but also come to the opinion that this is Hebrew, while pointing out that even in our own language the word Paneach is an oddity. This is because unlike most Hebrew words that start from a three-letter root, Paneach naturally has a four-letter root. In Modern Hebrew the word Paneach means to decipher or to interpret. For as sensible as this understanding of this special naming of Yosef is, it should also seem curious to us that if Pharaoh was going to call him by a Hebrew name why he didn’t just refer to him by his proper name of Yosef. This is a curious and conflicting revelation. The truth of that matter is, that in galut – in exile or diaspora – often many of us are known by a different name than we are at home among our people. Often times our secular names are just a mere estimations of our Hebrew name in the common tongue, and furthermore only a resemblance our what our true essence is as a Jewish person. Thought today in the modern world in which we benefit from the liberation of Zionism many Jews are able to openly call themselves or legally name themselves more closely to the Hebrew tongue, this most often historically has not been the case. It’s still not the case even in my life. In my own daily life among people who don’t really know me. My true Hebrew name is just too hard for people to say sometimes, so I’m given nicknames that people think fit me. In the traditional world, especially for those of us who lean towards the orthodox, we often feel a conflict within ourselves regarding this. We don’t deny what our secular or “real world” name is, but within the company of religious Jews we often go out of our way only to refer to each other by our Hebrew name because that is essentially who we really are on a heart-level. It seems unbecoming that with people with whom we share a soul connection that we should speak to each other with a name other than that which is stamped in our inner person. We like to call each other by our Hebrew names because we feel good to be able to resist the sting of assimilation that deprives us of the freedom to be the person we feel we really are. When people in the secular world can’t ascribe to us that G-d given personage assigned to us we often feel deeply conflicted inside. 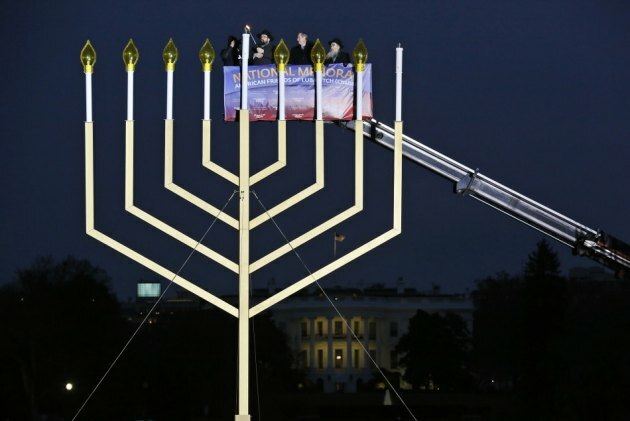 As we come into Chanukah the topic of assimilation is central to the theme of the season, that the Greeks sought to forcibly assimilate the Jewish people by depriving them of their Torah-true ways, even in the deeply personal ones that apply to how we keep our own body. Torah learning, circumcisions and kashrut were outlawed. This unjust dictate brought the Jewish people into conflict, indeed war, against the Syrian-Greeks. It is our salvation from this and our overcoming this injustice that we commemorate. 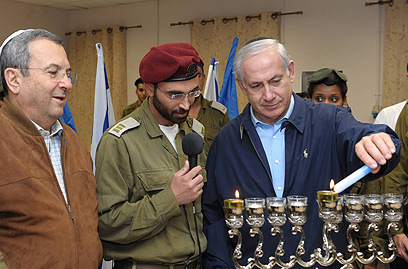 It comes to a head by being reciprocated by G-d in aiding the Jews through the miracle of the Temple oil which we memorialize with our Chanukah lights. At this time of year many of us feel this tug inside of us to break off the bonds of assimilation. But sometimes assessing the reality of the world that we live in, that is so far from Torah and godliness, we often feel grieved that we just aren’t able to break completely free from these foreign and awkward impositions. The truth is that for the greater part of our history we as a people on some level have been regularly subjected to this type of encumbrance. This was especially true for Yosef haTzadik. Not only was he forcibly sent into exile, but he was unjustly subjected to suffering by those who had power over him in his exile. Even when he was released from his captivity in prison he was cleaned up and fashioned in the style an Egyptian; he was shaved, dressed in linen, called out in their language, ate after their style, dressed after their style, married after their customs, etc. He was fully assimilated to the point that in this parsha we see that his brothers had no indication of who he was or even that he was a Hebrew at all. If we look at the assimilation of Yosef we can see that there was not any semblance of a religious Jew in his ways. He didn’t look religious at all. In fact, the more we look at the actions and words of Yosef we see that the most religious thing about him was his mouth, he used all the right words: “G-d will give Pharaoh an answer of peace” and “What G-d has begun to do He has shown to Pharoah.” He was a lot of good talk, but no so good in the walk when it came to his lifestyle and demeanor according to the conventional standards. His words also reveal another thing, he merely referred to G-d as “elohim,” a general name used by even the secular, defining Him as being the G-d over all the physical word. But he didn’t use the Name of Havayah (Hashem) – the Four-letter Name of G-d – the true personal and spiritual name of our L-rd, that is used by those who have a deeply personal relationship with G-d. He just wasn’t that learned and religious. That is not to say that Yosef wasn’t a godly and goodly man. We call him Yosef haTzadik – Joseph the Just – because he we wasn’t a prophet or patriarch, but he was a just man in the way that he lived. The way he showed his righteousness was in his secular ways, by always doing what was right in his worldly conduct. He was upright in his actions and as a hard worker for the benefit of his society. He didn’t have the luxury of being a cloistered religious persons. He was forced into the real world, so he had to show his righteousness and his exceptional character in his secular dealings. But in these things he was blessed and G-d honored him in order for it to be a lesson to the godless culture he was in of the greatness of who Hashem was. But what is interesting is that the Torah reveals to us that he was not content with this, he did not see this as an ideal. He sought for greater spiritual heights too. This is revealed to us in the way that he named his two sons “Ephraim” and “Menasheh.” He gave them overtly Hebrew names, he wanted better for his sons when it came to spirituality than he had experienced. Furthermore, when he got into a place of greater authority and autonomy he insisted upon those under him submitting to the ultimate sign of the covenant, calling all under him and in his care to be circumcised. Even more telling of his desire to be more deeply spiritual connected to G-d and His Nation in a true physical way he made his brothers promise that they would not let his body remain in exile once he died, when they were to go back to the Promised Land as G-d had declared he demanded that they take his body with them so that He could find his rest among his holy patriarchs. In this way Yosef haTzadik may probably be the most accessible and attainable standards of righteousness in all the scriptures. He stands out to us as a person most of us can easily relate to, as a man who did a good job under difficult constraints in order to resist total assimilation. He stands out as a different form of tzadik – a righteous and goodly man – than we normally expect. A man who was able to shine his light of holiness in a different way, in making a good name for himself so that it would also in tern fill the eyes of the heathen with light of what godliness should produce in one’s life. 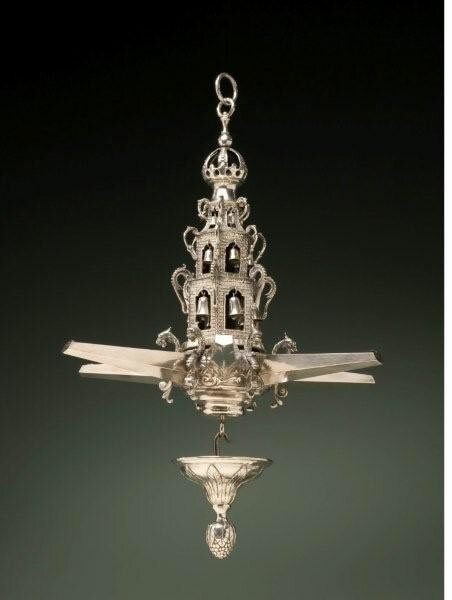 During this holiday as we look across our lights of pure and holy oil, it is my hope that we too should seek to have a name of good repute, one that is synonymous with fine character after the manner of Yosef haTzadik. A name that is as good as the finest of oils. 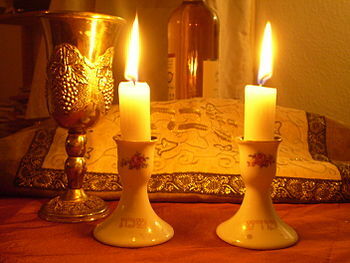 Shabbat Shalom v’Chag Chuanukah Sameach! Do you need the blessings to light up for this brilliant and joyous holiday? Look no further! We have them right here for you; along with English translations and instructions provided by yours truly. Click on the image to download it in a simple PDF format so that its ready to print out or read from your notebook with no fuss!